Imagine that you’re going through ten filters, one by one. Each filter is getting narrower and you’re moving inward as if something wonderful is waiting for you at the end. And you’re getting smarter and smarter and as you’re passing through each filter, you’re getting closer toward your desired goal. Then whoa! Finally, you’ve arrived. The desired goal is yours now! The above scenario is an exact replication of how you face the top 10 tough job interview questions. If you can handle these tough job interview questions well, you’ll be able to say proudly that you’re hired. But you may wonder why the recruiters select these tough job interview questions? Do they want you to fail? No. They ask you these tough questions to screen better. Any company wants people who’re smartest, most intelligent, hard-working, and most reliable and would become greatest assets for the company. So how do you select these people? Simply by asking tough job interview questions that only the smartest, most intelligent and best people can answer in a proactive manner. When screening is good, the company would get the greatest resources. To do great work, every company needs a great team. So, if you’re wondering whether you’re one of the topmost people on earth, stop wondering. Rather start preparing. The following tough job interview questions are tools for you to prepare yourself well and handle any interview wonderfully. Let’s get started with and also ways to handle them. When the interviewers ask this question to the interviewees most candidates start speaking about their schooling, personal life, hobbies and family. But when the interviewers are asking these tough job interview questions they’re not looking for your personal preferences or family details. Rather what they want to know is about your professional life and how you’re doing in your professional career. If you’re a fresher, the recruiters like to know what skills you’ve and whether you’ve any internship experience in any industry or not. When the recruiters ask you this question, be prepared to answer it. It’s toughest because it seems like a very simple question, but most candidates are being rejected after answering this question. Because what recruiters are looking for is not only information about the candidate, but also the poise, delivery, confidence, communication and style of the candidate. While answering this question, always remember that you need to describe your personal and professional experience in brief and how your experience is aligned with the position you’ve applied for. 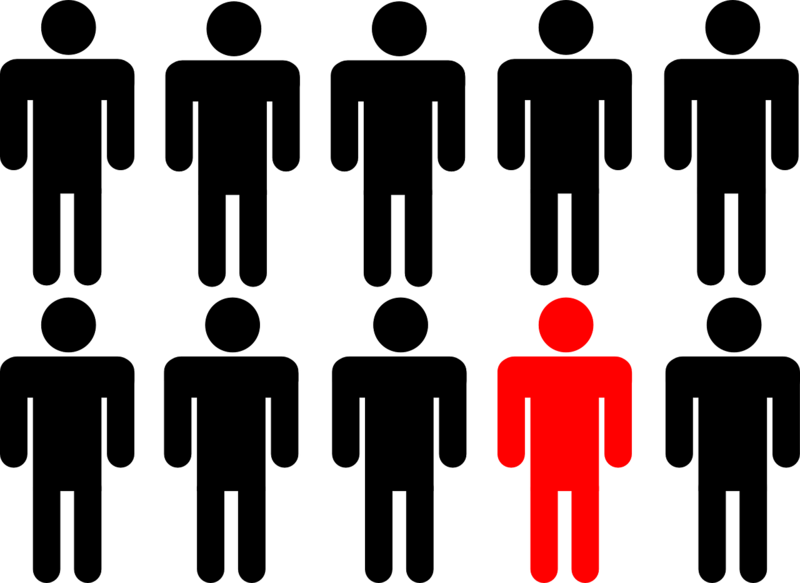 If you like you can also prepare a personal branding statement which will stand out from the crowd. When you ask people whether they are in the business of selling or not, most people will nod their heads in negation. But you’re salesman no matter what you do. So, when you’re asked to get into the interview room and at first asked this question, try to sell yourself. Don’t worry about self-promotion because you’re in the interview room to do just that. 2. Why’re you leaving your present job? There could be many reasons for which you’re seeking this job. But recruiters are sceptical about you. Why? Because there’re many job-hoppers out there who go from one job to another within a matter of months. They want to know that whether you’re focused or not and whether you’ve clarity in what you would like to do in your professional life or not. So, you need to prepare for this question beforehand. Start with assessing about the real reason of why you’re thinking of leaving the job you currently have? Is it because you’re not being paid enough, or you’re not able to get any job satisfaction out of it, or you can simply see that you’ll be laid off soon enough? No matter what your reason is, you need to say the truth tactically. If you say the truth upfront, in front of recruiters you may feel awkward. Say it in a way like “I want to part ways because this job is more suitable for my skill-sets and ambition” and then explain about the skills you’ve and how your skills and experience can help the company gets its objective. No company will hire you until they know that you can ensure better ROI for the company. Make sure your sales pitch is good enough. You need to sell yourself well so that the recruiters don’t suspect your intention in the first place. let’s move to the next tough job interview questions. 3. What’re your greatest strengths? Most candidates when they’re being asked this question reply with some vague, intangibles like – “good team player”, “hardworking”, “self-motivated”, “loyal” etc. What they fail to understand that these terms are being said by everyone and they are not valuable because they don’t cite any example along with their strengths. So, they don’t stand out and get rejected. The best approach to answer this question is to think beforehand about 3-4 strengths that you would talk about. The strengths you mention should get aligned with the job you’re applying for and at the same time, you cite a real life example of your professional career where you’ve shown these strengths. Most recruiters are the combination of left and right brain. The intangibles will serve their right brain while the facts you present will satisfy the left brain. This is a trickier question, trickier than the above question. To screen the best candidates, the recruiters ask this question. The best way to approach this question is to show your weakness in the camouflage of a professional strength. Suppose, you always have a helicopter view, have a big picture in mind and don’t get satisfied until things get perfect. Use it as a weakness. Say like “I’m a perfectionist and I don’t leave things or projects until they’re done in the most perfect way.” The recruiter may ask then you would take a long time to do that? You may answer – “That you can say another weakness of mine. See, the thing is that the recruiter never expects you to be perfect. No one is. So, be wise and say things in such a manner that even the weakness sounds like strengths. 5. What did you like about your current job? The biggest thing recruiters like to know about you while asking this question is how good you’re at handling tasks or any area of responsibility. When you answer this question, pull out some tasks that interest you. If you were in the similar industry in your previous job, then it would be easier for you to explain. If not, then pick out something you really liked about your earlier job and mention that you did very well in handling it. Also, mention that everything cannot be of your liking. But cite an example which proves that even if you don’t like the task, when you’re assigned a task, it should be considered as done. This is a very good question because recruiters are suspicious about whether your audio is aligned with the video. You can explain your magnificence here. 6. What can you tell about our company/industry? This question may seem usual but the way you answer it matters a lot. Most candidates make the mistake of praising too much about the company and industry. But that’s not the point. When recruiters ask you about their company, it means they want to know whether you’re really interested in the position or the company or not. They don’t actually follow your words; rather concentrate on your non-verbal cues. Even if you praise the company and industry in words, your non-verbal communication may say it differently if you have a doubt. So, be selective about the interviews. Don’t just sit for any interview. You will waste the time of recruiters as well as the time of your own. And nothing fruitful will come out of it. So, go for interviews where you’re really interested to do the job or you like the company or you want to work for the industry. Prepare well about the company and the industry and give specific reasons (bullet points) about why you want to expand your career in this company or industry. This is another tricky question. But it actually means what you have that others don’t possess? When you’re asked this question, remember to point out things about you that set you apart from other candidates. Most candidates talk about being hard working, willing to adjust, loyal and all. But they are not what recruiters want to know. They want to know what one or two things you have that is scarce. To answer this question, you need to do a bit of homework. First while preparing, draw a SWOT analysis and find out your strengths, weaknesses, opportunities and threats and then try to align with the company’s (the company you’re applying for) goals. Whatever comes in unison would your point of emphasis. Use bullet points and say the commonalities in brief. If you do this, you would get through one of the trickiest and tough job interview questions asked by the recruiters in all the interviews. 8. Are you overqualified for this job? Most recruiters are targeting at whether you say “yes” or “no” to this question. If you say “yes”, you’re rejected immediately (at least most recruiters do that, but there are exceptions). The reason you get rejected when you say “yes” to this question is the recruiters feel that if you’re already overqualified for this job, soon you’ll be bored or disinterested for the same. So, say “no” and then add “I believe that this job is a perfect fit for my skills and ambition. Even as I can see, in this job, I have a lot of room to grow.” If you say this the recruiter would be sure about what you think about this job and about your qualification. But don’t lie. If you don’t really feel you’re a perfect fit, say it upfront. It would be better for you as well as for the recruiter to decide then and then what to do with your candidature. 9. Where do you see yourself in the next 5 years? Most people don’t set goals. So when the candidates are asked this question, most of the candidates have no idea what should they answer! They say vaguely – “President of the company” or “on the other side of the table”. But instead of giving this blunt answer, if you talk about your motivation and what motivates you then it would justify the answer. You could say something like – “As I currently see myself, I have a lot of room to grow. An answer like this leaves no scope for cross-questioning. The recruiters get that you’re truthful to what you’ve to say and you don’t imagine things out of the blue. This question is usually being asked to candidates who are fresher or just coming out of college. Even if while reading this, you consider yourself as a fresher, always know that a well-articulated answer will do the trick and satisfy the recruiter. let’s move to the last tough job interview questions. 10. Do you have any question? A lot of people say “no” to this, but it shouldn’t be you. Don’t say “no”. This question is asked to clarify whether you’ve prepared well for the interview or not. If not, you would say a “no” for sure. If “yes”, then you’ve something to ask or add. 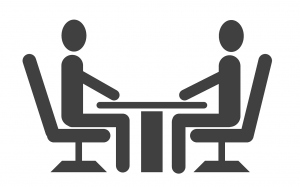 Prepare few tough job interview questions before or else if during the interview if you’ve got to have any question, ask here. Ask the question politely and wait for the answer. It will show your interest in the company. Make sure that you’re not asking too specifically about the salary at the end because that will create an impression in the recruiters’ mind that all you care about is salary. Whatever you asked should be well prepared in advance. 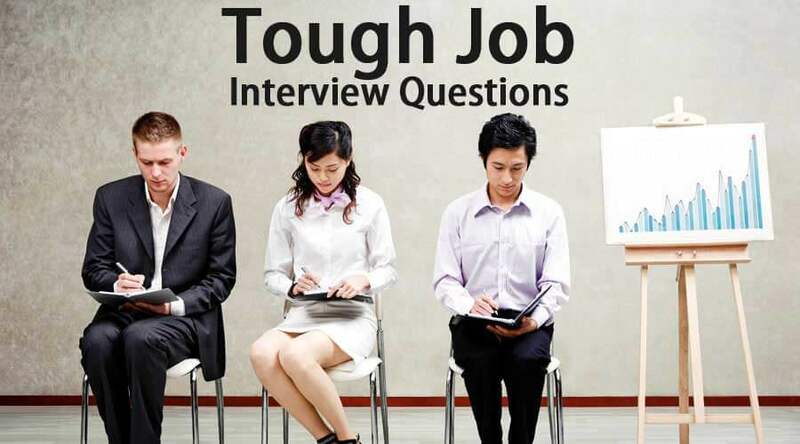 These are a few tough job interview questions you will face in an interview. The tough job interview questions may seem usual. But if you prepare well and are really willing to get the job, the above list will help you get through. 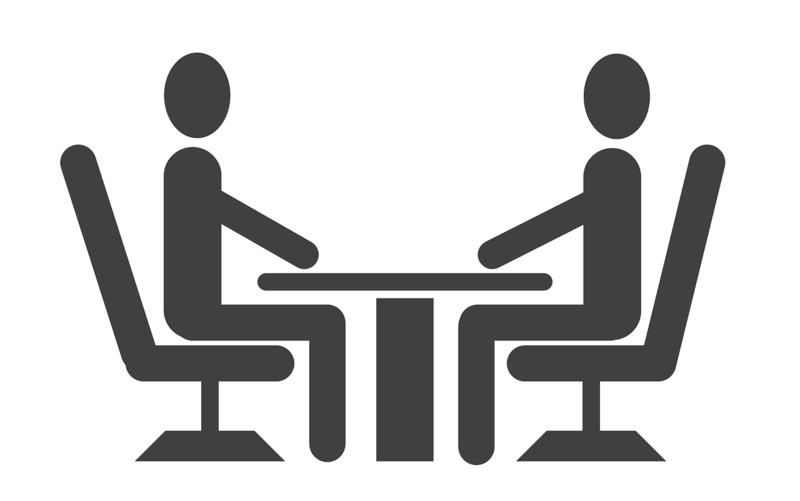 10 Excellent MBA Interview Questions You Must Know!! !